Shell thick, flattened conical shape. Calcar means spur; the outer shell has a spiral of blunt bumps and spikes. The shell is usually encrusted and thus well camouflaged on the rocks. Shell opening is smooth and pearly. 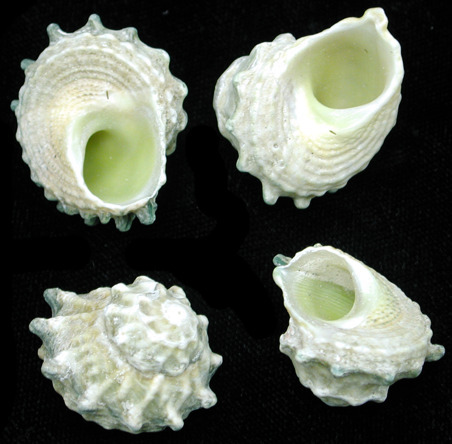 The small, chalky operculum is hemi-spherical and has a smooth glossy surface. These are found in the Indo_Pacific Region.